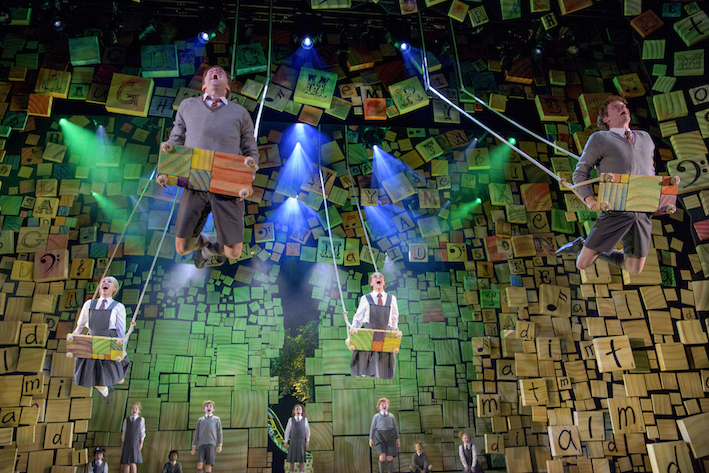 A clever show that is mightily enhanced by an equally smart, ingeniously realised production, Matilda is the music theatre smash hit Melbourne fans have been clamoring for while suffering through a seemingly endless run of revivals. 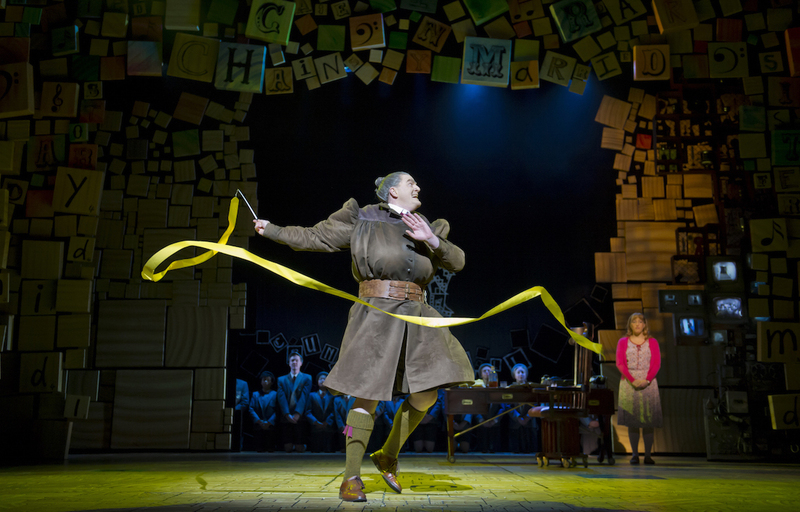 Unlike the low budget production values and inappropriate star casting that plague revivals, Matilda is spectacularly produced and superbly cast. The show looks terrific in the Princess Theatre, and the scale remains grander than the West End and Broadway productions. With not a marquee name in sight, the cast of real actors are all the more believable as actually being the characters they are playing, outsized eccentricities and all. While enjoying a successful run in Sydney, the adult performers have honed their comic timing and delivery to perfection. The story inhabits a frenetic world in which the balance between focused commitment and energetic inhibition is a fine one. Matthew Warchus’ direction keeps energy uniformly high while characters are all played in that highly agreeable style in which none of them know they are actually funny. The humour and precision continue in Peter Darling’s witty, intricate choreography, in which body and head angles are sharp and tightly synchronised. No song ends the same way it begins, with surprise elements continually added as each number builds and twists it way through. The alphabet sequence of “School Song” remains a highlight of all creative aspects coming together at once. The simple use of swings makes “When I Grow Up” an endearing sequence. 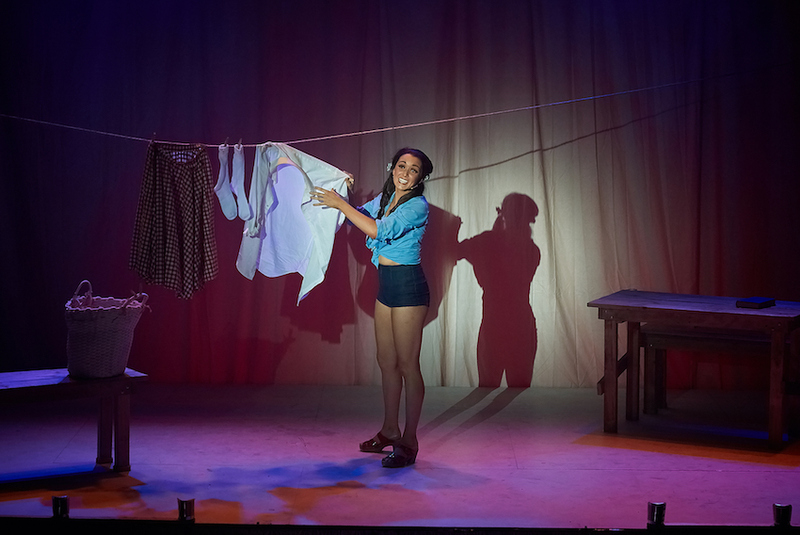 Miss Trunchbull’s ribbon twirling in “The Hammer” is a wickedly funny surprise, and the endless invention of gymnastics for her big production number “The Smell of Rebellion” revives the nightmare of Physical Education for those who preferred Drama. Dennis Kelly’s deceptively slick book juggles social commentary, suspense, sentimentality and science fiction with liberal doses of devilishly black humour. 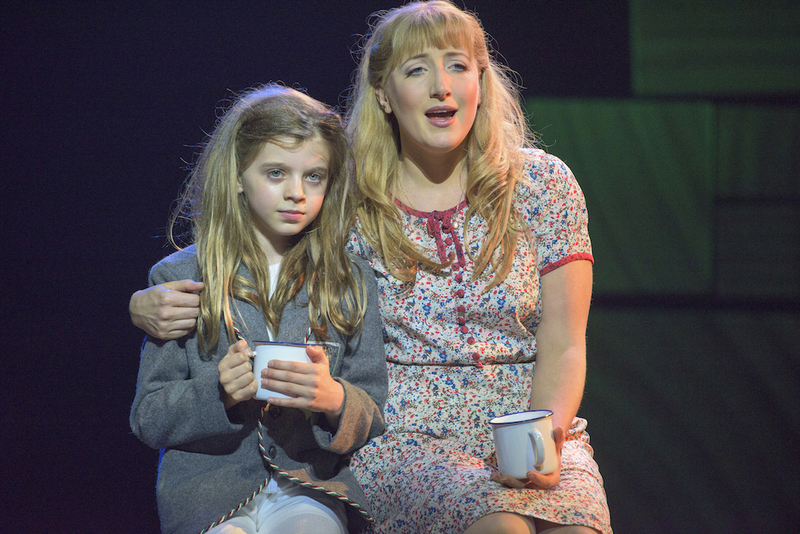 An actual genius drowning in a swirling sea of wannabes, Matilda is thrown a lifeline by her dear teacher Miss Honey. Combatting her appalling parents and insane headmistress, Matilda takes comfort in sharing a developing story with kindly librarian Mrs Phelps. Exploding out of the proscenium arch and into the auditorium, Rob Howell’s dazzling collage of scrabble tiles and blocks creates an immersive feel. The tile motif is cleverly carried through the entire scenic design, with the abstract designs offset by just enough realistic touches to provide context. Costumes, also by Howell, are like walking children’s book illustrations. 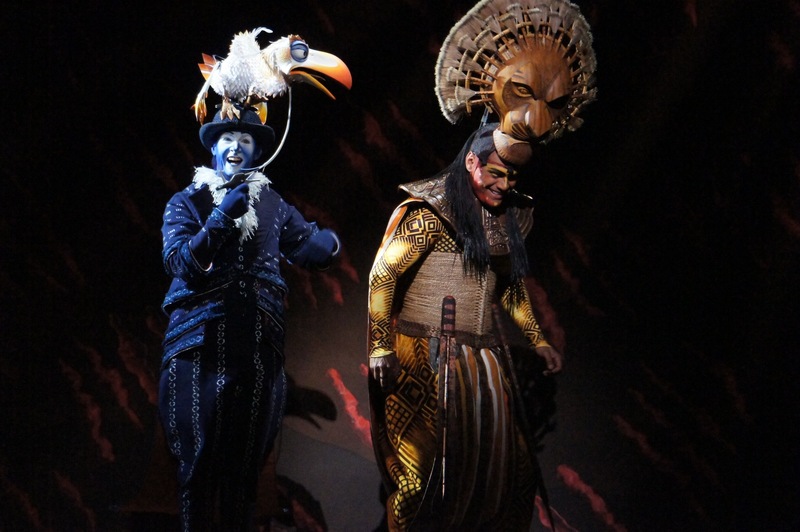 Each character has a very distinctive look, which is maintained throughout the show for broad, easy to follow storytelling. Ingrid Torelli makes a highly auspicious debut as Matilda, performing with completely unruffled composure despite the extended applause and cheers on opening night. Torelli plays Matilda as a serious young person who is intent on blocking out the pain of her parents’ abuse. Avoiding any sort of child cuteness, Torelli gives an intense, disciplined performance that anchors the heightened action that surrounds Matilda. Given much more to do than the tykes in Oliver! or Annie, the children’s chorus begins the Melbourne season in pristine form. The level of confidence as the children sing their hearts out, perform intricate choreography and create unique characters is astounding. 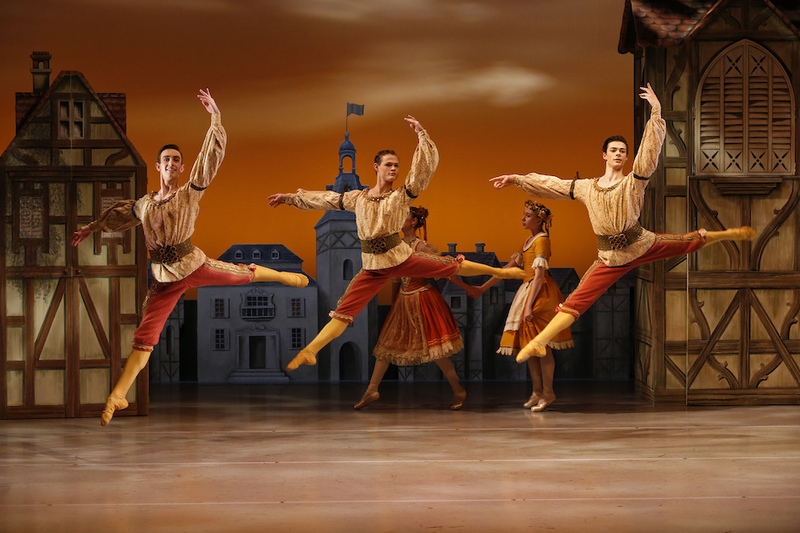 With the benefit of the Sydney season behind them the adult cast have honed their performances to achieve new heights. James Millar is set to be worshipped and adored as the gleefully malevolent Miss Trunchbull. His menacing whisper set to chill many a young heart, Millar has also perfected the hefty character’s impossibly dainty walk. Millar really pulls out all the stops to reveal the depths of The Trunchbull’s madness in “The Smell of Rebellion,” which rivals “Rose’s Turn” in its manic outpouring of emotion. Marika Aubrey and Daniel Frederiksen are in brilliant as the hideous Wormwoods. Both performers immeasurably heighten the hilarity of their despicable characters by somehow keeping one foot in reality. Aubrey is hilarious as she lives out Mrs Wormwood’s impossibly garish glamour and crippling conceitedness. Frederiksen makes Mr Wormwood’s sleazy, stupid ruthlessness as believable as it is amusingly repulsive. Offsetting these hideous creations, Elise McCann and Cle Morgan play the mirage-like wonders Miss Honey, Matilda’s teacher, and Mrs Phelps the librarian. McCann nails 11 o’clock number “My House,” avoiding cloying sweetness as Miss Honey’s inner life is finally revealed. 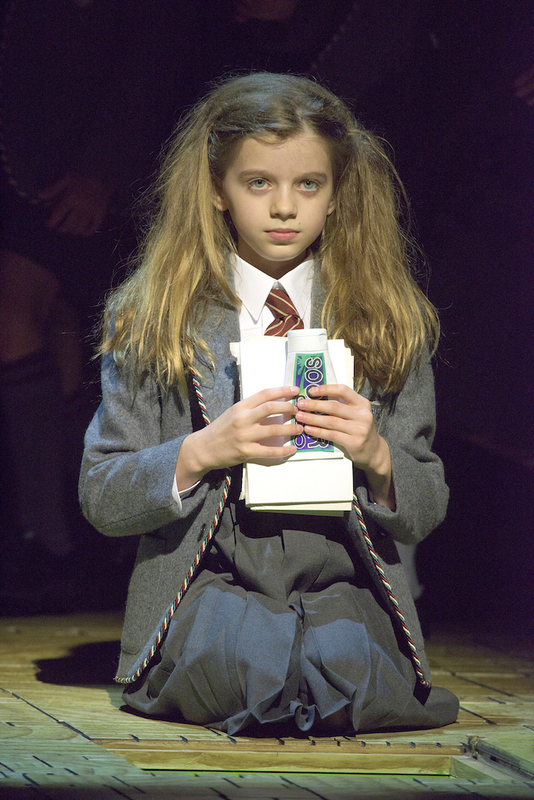 The delightful Morgan mirrors the audience as we hang on every word of Matilda’s addictive stories. 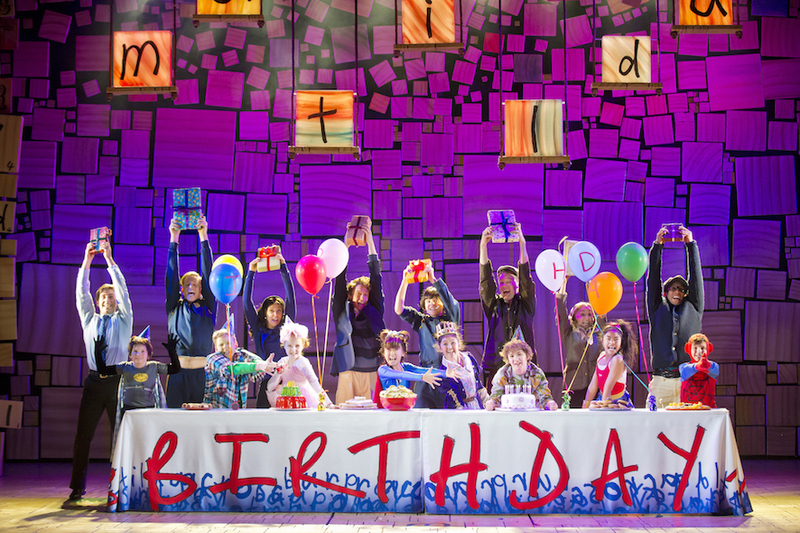 Matilda is the reason we all love musical theatre. To miss it would be to live in your own personal version of Chokey. 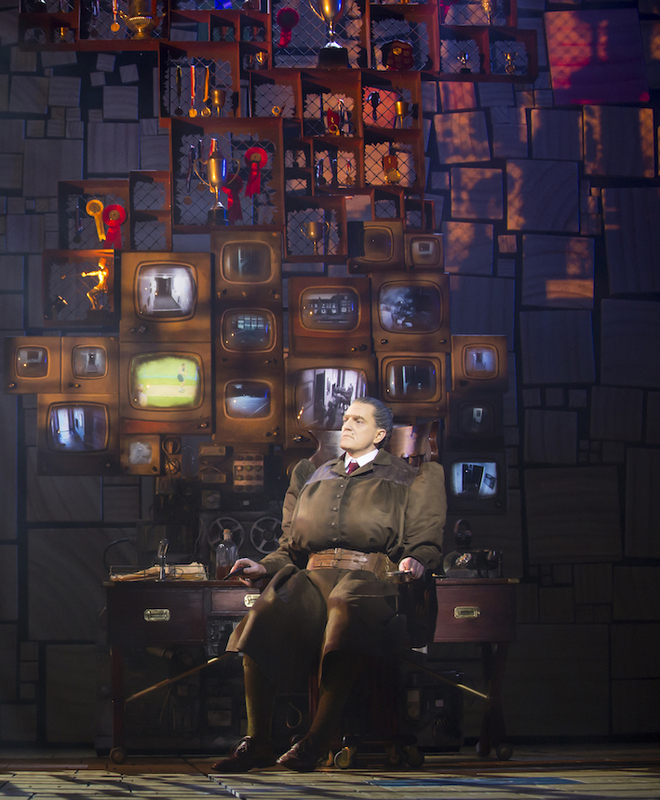 Man in Chair has reviewed Matilda in Sydney , Matilda on Broadway and Matilda on the West End.